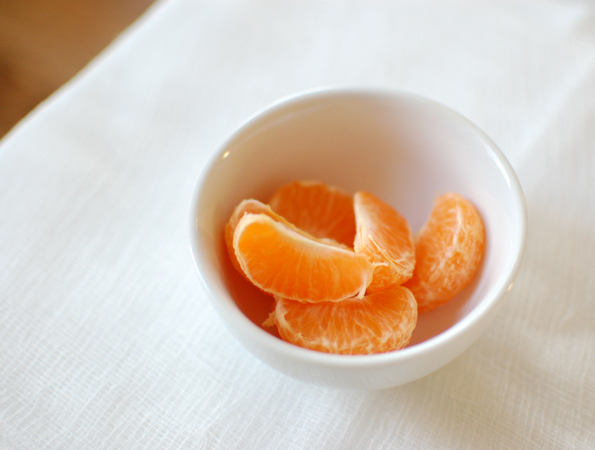 The first decent batch of clementines finally arrived at our local grocery store and I can't get enough of their citrus goodness. Also, I've hoarded tiny bowls for years and realized they also make the perfect size for snacking - fruit, cheese, nuts, and (of course) chocolate. I hope we get a decent batch here soon, they've all been so tart. And that is a GENIUS idea for those small bowls. I hoard them too and now they will actually have a use!